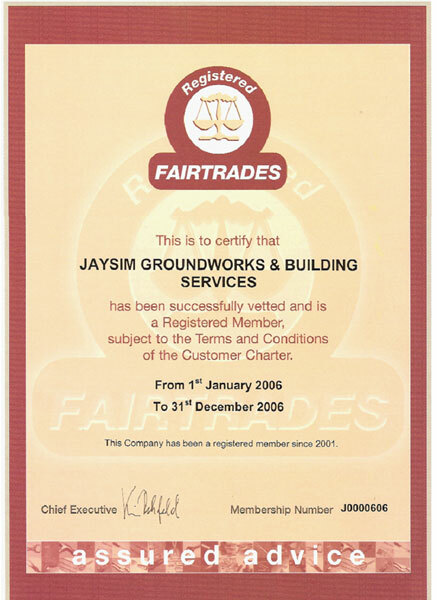 Jaysim Groundwork & Building Services can take of all your construction needs. We can extend your home and add value to your property with a professional extension. Block paving is a speciality, we can transform your garden with new patios, paths and driveways whatever the current condition. We can manage all construction or maintenance queries or contracts in and around Higham Ferrers, Northamptonshire, and we are willing to travel and meet all individual needs on a personal one to one basis. We can take care of any fencing or drainage jobs that you need completed. Interior and exterior tiling can be easily undertaken. We are a Northamptonshire based family run business with over 20 years experience. We pride ourselves on our reputation as professional and reliable builders.